But first- Who am I? I’m Britt Stantz (that's me on the right), and I’ve been in the landscaping industry for nearly two decades. Before signing on as a Customer Client Specialist this year, I was an Operations Manager here at Schill for several years. 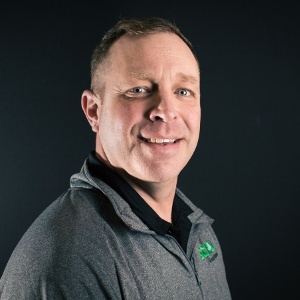 Before I got into the landscape maintenance industry, I was the superintendent of a golf course, which means I’ve been fortunate enough to spent a lot of time learning and educating others on proper turf maintenance. Everyone wants their lawn to look like a golf course, with lush grass that’s short all year, but that’s not always in your best interest. In order to keep your turf healthy and greener throughout the year, it’s important to adjust your mowing height throughout the growing season. In hotter months, we mow turf higher. The shorter grass is cut, the more susceptible it is to drying out because it’s getting less moisture from the roots. Likewise, in spring and fall we’re able to cut grass much shorter due to cooler temperatures and (often) more rainfall. Get more lawn care tips! It’s true: healthy plant life begins with healthy soil. That’s something that gets said over and over here at Schill and it applies not just to trees, flowers, and shrubs, but to turf as well. However, sometimes when landscapes are being first installed, corners are cut. This could be in the interest of aesthetics, leading to common mistakes such as over-planting, or in the interest of resources. 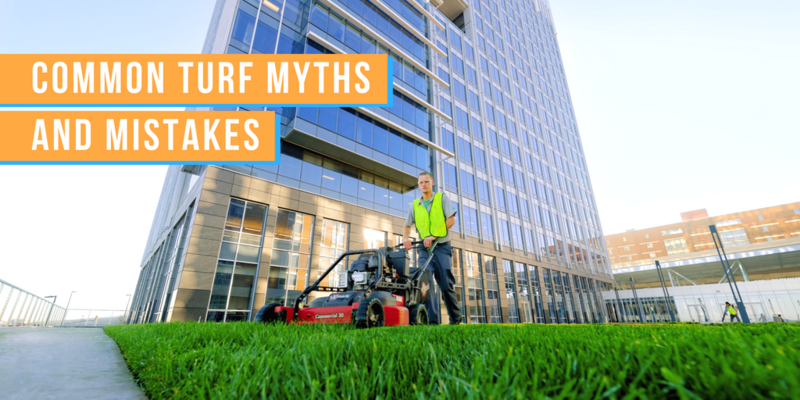 Occasionally, either to save time or money, construction crews will put in a layer of topsoil that’s much too thin to sustain healthy turf long term. In cases like that, it’s difficult for us to make the turf look the way our customers want without seriously amending the soil. And unfortunately, if your green space wasn’t installed with the proper attention to detail, it could take years for the soil to recover. Common solutions can include anything from constantly retesting and monitoring the soil to a complete replacement of your turf. You sprayed fertilizer- I shouldn’t have weeds! It almost goes without saying that no one likes weeds in their plant beds or on their turf, so we try to eliminate them when we can. 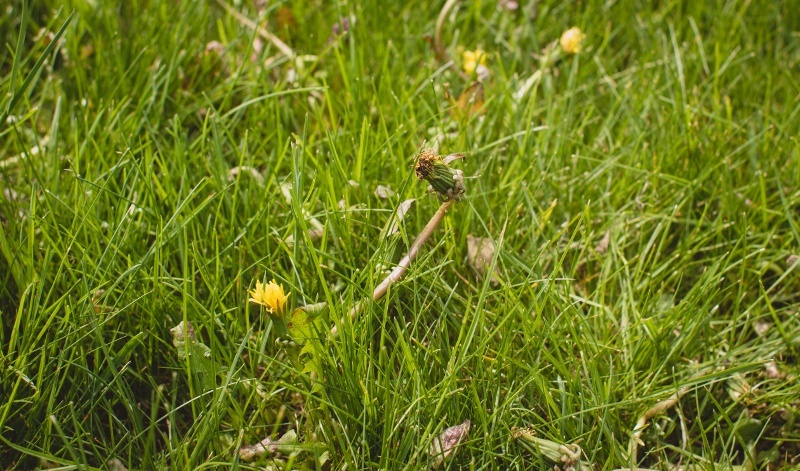 Unfortunately, some fertilizers treat weeds but do nothing to treat the reason they pop up—making plants green but doing nothing for the root structure beneath. 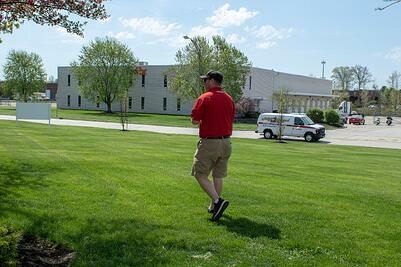 Instead, the goal of any lawn care program should be to treat the plant and soil holistically. 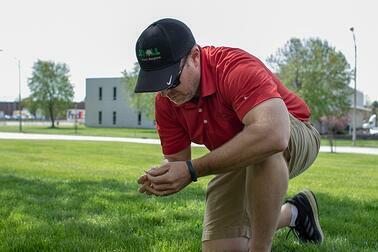 Our lawn care program is systemic, meaning that it treats not just the turf, but also the soil. Because of this approach, it often takes 7-10 days for the weeds embedded in the grass to begin dying off. This could take longer if your property borders another with turf that’s not being treated. Clients will call a lot in the early spring thinking they have grubs just because they see a brown or spongy spot on their yard. But while these are common symptoms of infestation, there are plenty of more benign explanations that, depending on the season, could be more likely. For example, water could be building up in that one area or direct sunlight could be cause scorching in one spot. Grubs are not a year-round phenomenon. They start deep in the soil and creep up slowly throughout the growing season as temperatures warm up. So typically, they don’t start affecting lawns until late August to early October. Plant disease is really no different than human disease. Sometimes there are environmental factors contributing to it that are within our power to prevent or minimize, and other times they’re not. Lawns are most susceptible to disease between fertilizer applications, toward the end of a cycle because the grass isn’t growing as much. Likewise, properties that get 2-3 fertilizer applications per year are more susceptible to disease than ones that get 4-5 applications. This is because burst of healthy growth that follows a fertilizer application will typically eliminate common turf diseases like red thread, snow mold, and dollar spot fairly quickly. The main takeaway is this: fertility is key. Just like humans are less susceptible to disease when they’re eating right and getting the proper vitamins, nutrient-rich soil will lead to healthy turf. My turf should be green. I’ve been watering every day! When it comes to your lawn, it’s actually a good rule of thumb to water less frequently and more deeply because depriving your turf of water makes it more resilient. For most properties, this means watering every other day at most. But beyond the amount of water you use, how your turf is absorbing the water is just as important. Heavy soil compaction can keep moisture from getting to the roots of your turf, whereas waterlogging may lead to disease and root rot. Typically, aeration is often the most effective and simplest way to solve these problems. It essentially helps your turf breathe, allowing water and nutrients to get to the root structure without trapping them there. If you think your Northeast Ohio property has drainage problems and want to talk about aeration or another possible solution, give us a call. Including myself, the Schill team has well over a century of combined experience caring for commercial properties in all seasons. We love talking to property managers and owners about how their landscape can help them attract the types of customers, tenants, and employees they’re looking for. If you have any questions or concerns, don’t hesitate to contact us.